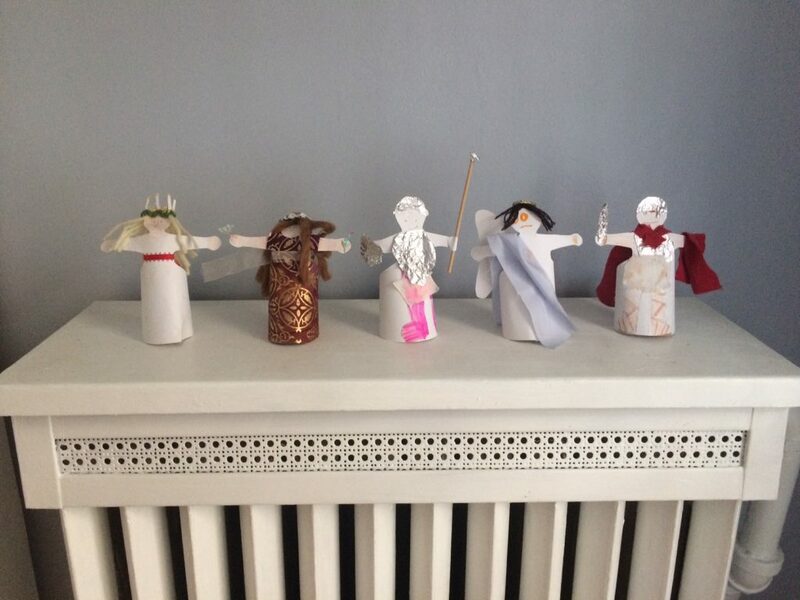 My boys and I adore our annual All Saints celebration. Though it varies from year to year, the celebration always includes a game we call Guess the Saint. One year we placed a few objects found around the house in a bowl to represent different saints. We had a toy bird for Francis who preached to the birds, a candle for Lucia who carried her light on her head, and a ox for Aquinas who was known as the dumb ox. To play the game, an object is picked out of the bowl and an extra clue or two is given as needed to see who can guess the saint the object represents. In recent years we replaced this simple bowl of objects with friends joining us for a meal where we all dress as a favorite saint and give clues to see if we can guess which saint each person has chosen to represent. To be perfectly honest our boys love this celebration because leftover Halloween candy is the prize when they guess a saint correctly. My children are certain they are the most sugar deprived children in the world (they certainly aren’t) and this promise of sweets goes a long way to garner excitement. When it comes to building our family traditions around the church year I’m happy for enthusiasm in any form, but I also want to think about why we spend time and energy celebrating All Saints. It would be easy to get lost in the fun and sugar and lose sight of why we choose to celebrate this feast day. I love the stories of the saints and feel it is important to remember them because they point us to the Gospel, teach us to love and help us to examine our own lives and grow as saints. Preach the Gospel, if necessary use words. With every family liturgical celebration, big or small, my first goal is always to hear the gospel. The celebration of All Saints is first and foremost about the gospel. Christ has come so that we can be counted among the saints. Through the sacrifice of Christ’s perfect life we can begin the journey toward being Christ-like. To meet this goal of preaching the gospel in our celebration we must remember who it is that makes the journey of all saints possible. It isn’t something we have long discussions about, but it is our starting place. – Saint Ignatius of Loyola [Ep. 1:81]. From the lives of the saints we learn how to love God and love others with greater fervor. These men and women who loved God and loved others well, show us the way of Jesus. I try to share lots of stories of saints during October and November. 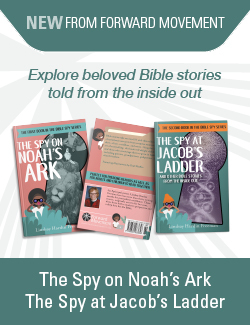 Sometimes we read through an anthology of saints at bedtime, sometimes we share a picture book over hot chocolate after school, sometimes I hand a chapter book about a saint to my older boys and ask them to read on their own. But while what we read and when we read changes, the question I ask afterwards doesn’t. ‘I wonder how (insert saints name here) loved God and loved others well?’ Sometimes my littles’ answers surprise me, reminding me that we continue to learn from the saints, even those whose stories we already know well. 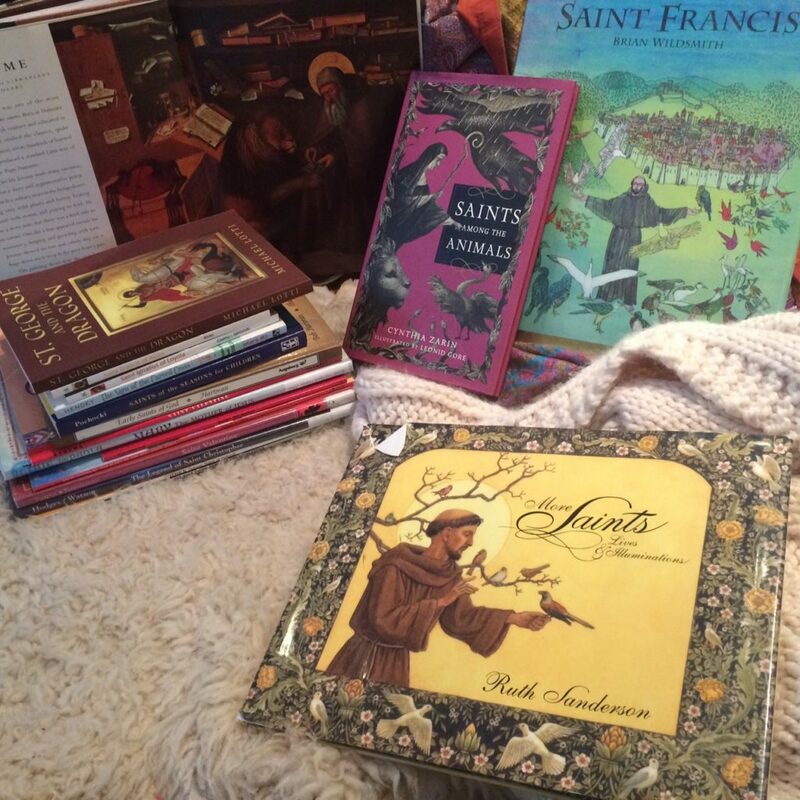 I included some of our favorite books about saints below. When we begin to think about the gift of salvation and hear stories of people who loved God and others well, a natural next step is examining our own lives and pondering how we, too, can love more fully. Saints’ stories prompt us to ask, “How are we are loving God and others in our lives? How can we love God and others even more? Where do we fail to love God and others?” The saints will inspire us and show us the way, if we will take the time to wonder how our lives can reflect the gospel. This year we are expanding our circle on All Saints and hosting a church wide potluck with costumes and saintly games instead of a home celebration. I hope that other families will hear the gospel, fall in love with the stories of the saints, and that the lives of the Saints will inspire them to love God and love others with greater fervor. This is my prayer for your family, too. What are your favorite books or videos about saints?